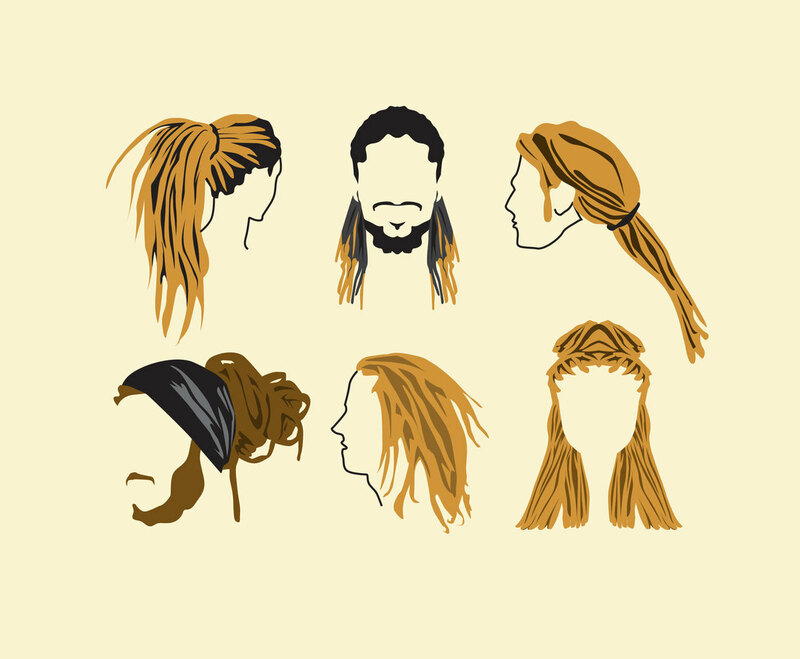 This vector set illustration contains several number of rockstar hairstyles. Most of them are long hairstyles and they are really funky. You can pick one of them to suit your design project. Could be good as design element in rock music event or band promotion.